The story of our distant past is a mystery that continually unfolds and fascinates us. With each new discovery another chapter is written. There is an excitement that captures us when new clues emerge. The image of what the past must have been like becomes more vivid in our minds. With curiosity peaked and imaginations filled, we stride forward with new knowledge of ourselves and our place in history. 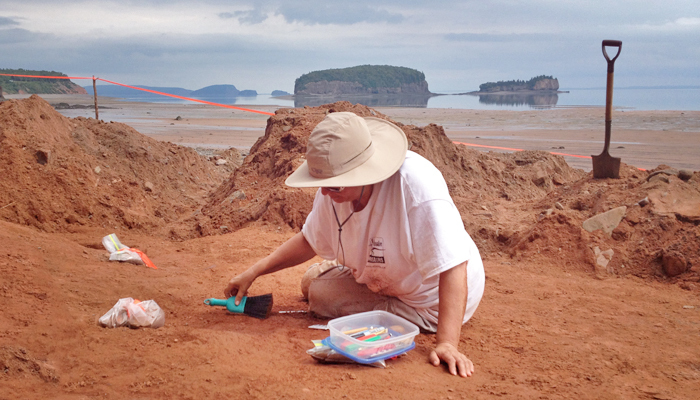 There are places with thousands and millions of years of stories to tell in Nova Scotia. We call these Special Places. They are sites of historical importance not only for our province, but for the world. For archaeologists and palaeontologists who study them, these places are grounds for a life's work. For all of us, they are places to appreciate, respect and protect. 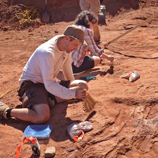 Nova Scotia supports the preservation, regulation and study of archaeological, historical and palaeontological sites and remains deemed to be important parts of our natural or cultural heritage. The Special Places Protection Act enables the government to designate outstanding heritage sites as protected sites. It also ensures that quality research is carried out through the Heritage Research Permit system. All palaeontology and archaeology sites are protected under the Special Places Protection Act. Those who damage or destroy important sites face stiff penalties. Stop-orders are enforced if sites are threatened by development. Protected sites may include land in either public or private ownership as well as underwater sites. Special provisions are given to protected sites to preserve their heritage value and allow them to be studied.